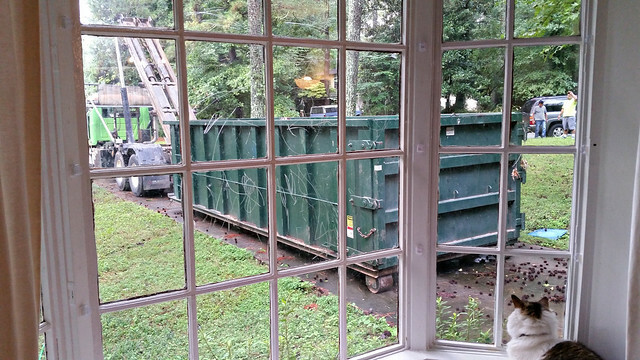 The dumpster arrives! We had this dumpster in our driveway for 3 months last fall. It was completely full by the time they were done! Starting to take down the cabinets. 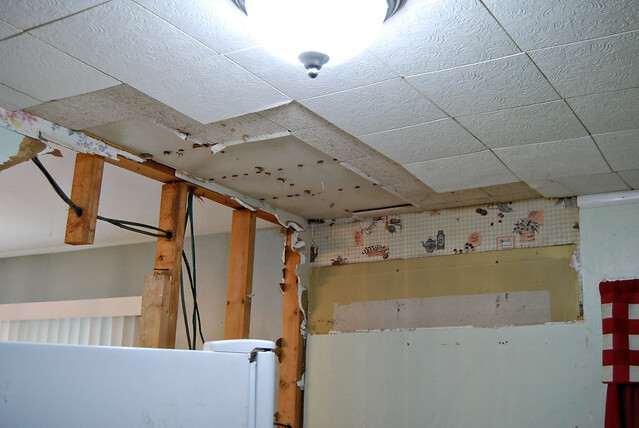 Showing the multiple layers of wallpaper and ceiling tiles our kitchen had. 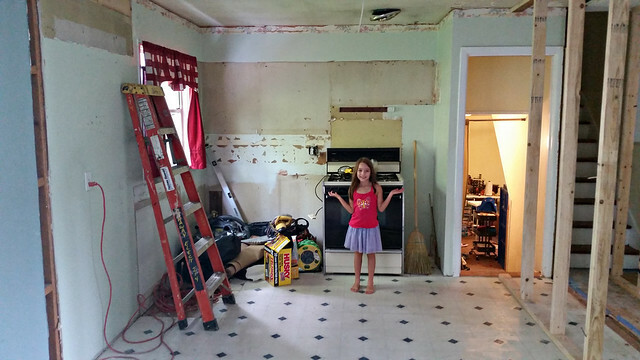 Caroline shows off the kitchen at midday – the walls are down and the cabinets are gone, but the studs are still there. They called in an electrician at this point to take care of all the wires. The wall of the kitchen with the stove, after the cabinets and backsplash are gone. It looks so ugly once everything is gone! 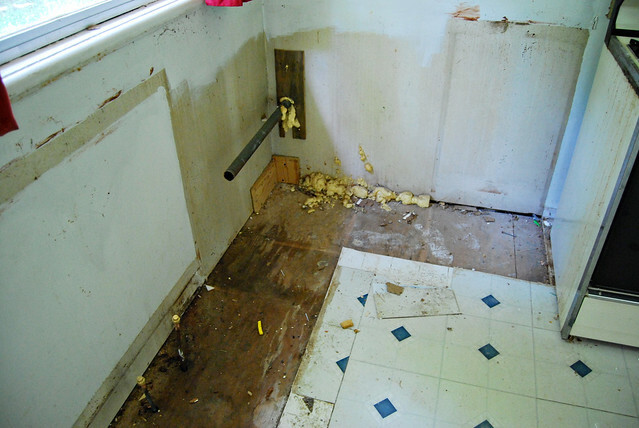 The floor where the sink was. When I saw this, I was really worried about water damage on the floor underneath, bit thankfully once they removed that layer the subfloor underneath was fine. Phew! Where the fridge used to be! It was crazy to me to be able to see all the way to the bay window from the kitchen window. I remember how much brighter the downstairs felt once the walls were down. 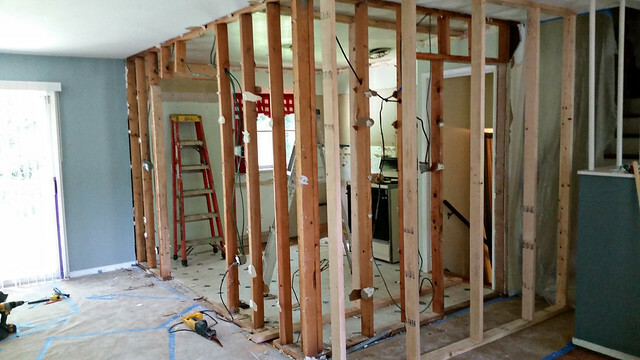 They thought one of the walls was load bearing and would need a beam and a column, so they put up temporary walls on either side before they took down the studs. 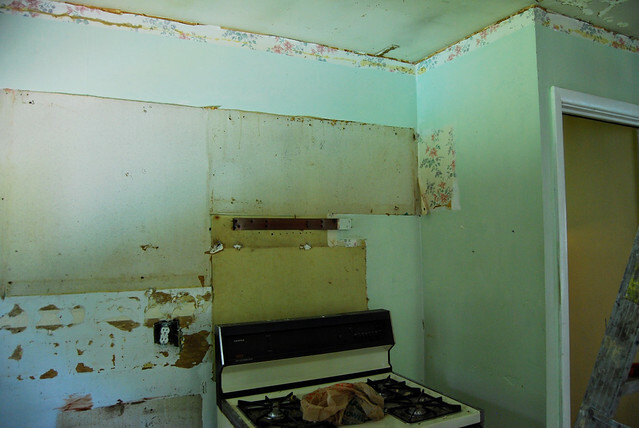 We had these temp walls here for a few weeks before a structural engineer inspected and said the wall was not actually load bearing, and we were fine. That was very happy news! 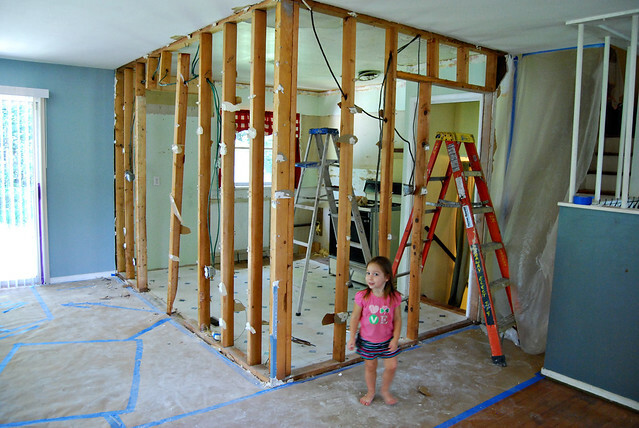 After demolition, the first task was to fix the foundation. 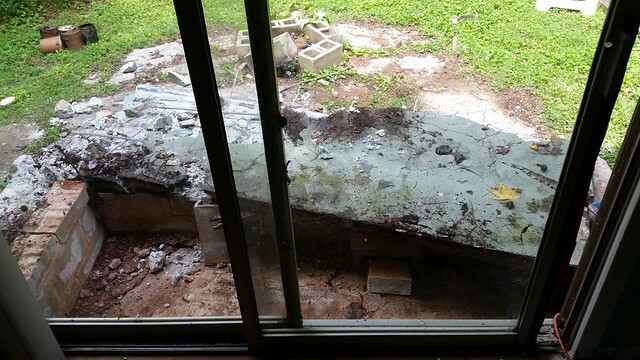 They had to remove the stoop outside the back door to get access to our crawlspace. 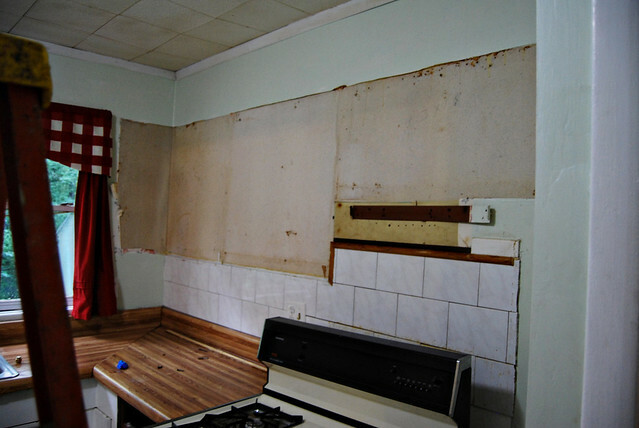 The walls in the kitchen are completely down! (You can see the temporary walls on the right) Hooray for an exciting day! 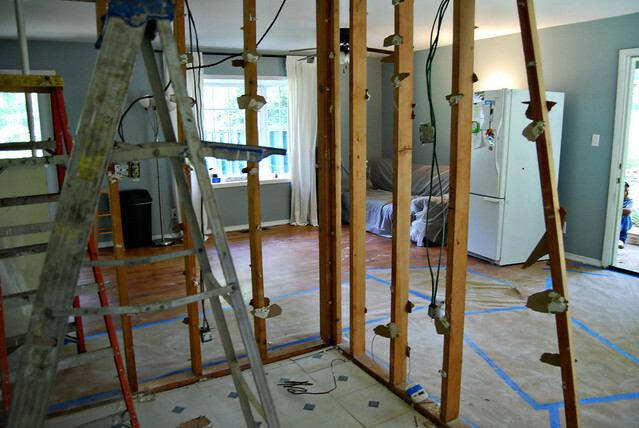 I am hoping to chronicle the whole renovation process, but not sure how fast those posts will come. :-) Just as a heads up! You can jump ahead to the official before and after pictures here.